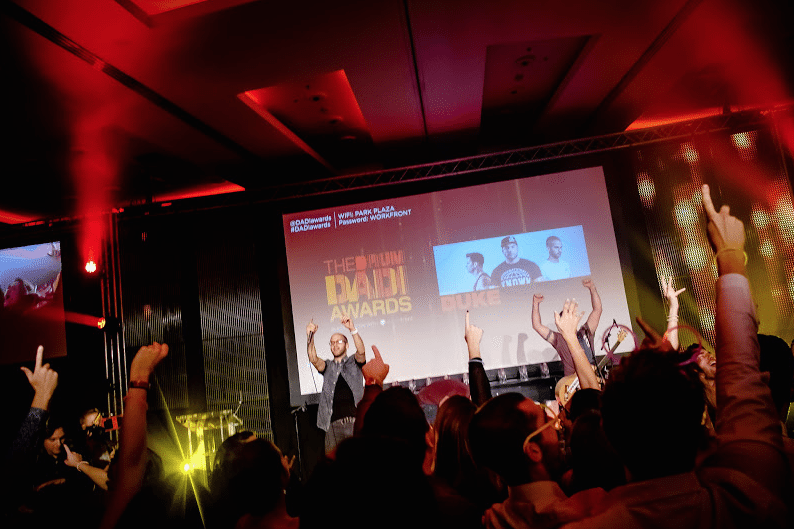 On the 15th of October JLA agent Allan Grant, boss Jeremy Lee and myself accompanied Blue2 (our web design team) to The DADI Awards. For 9 years, the DADIs have been one of big ceremonies in the digital space, claiming to “bring together individuals and companies at the forefront of digital and provide the perfect opportunity for those entering to prove how good they are.” For the 2015 event our very own speaker bureau website JLA.co.uk was up for the “Best Professional Services Website” gong. And it’s true, the website has been a real success. Since it’s launch bounce rates have dropped and page views increased, both by 15%, while enquiries have more than doubled. The new site has over 800 videos, responsive design, a state of the art search algorithm, agent recommendations and exclusive interviews with the talent. A host of big name clients have thanked us for delivering a speaker bureau website that makes their job so much easier. Attending the event was a strange experience for the JLA team. As a speaker bureau we are used to running around behind the scenes in our role providing and looking after the presenters and entertainers. Here we were on the business end, at a table, enjoying the event, waiting for our turn in the order of ceremonies. JLA had actually booked the main entertainment for the evening, the beat box dance act Duke. In stunning fashion, as they expertly boom-tished their way through a number of nineties dance classics, they created an actual mosh at the front of the stage. Had we booked the presenter (DADI had opted to use an in-house presenter) then we may have seen the script in advance and known the result of our category. However, old hands of the event industry, we recognised that the position of our table (44) on the outer reaches from the room, as far away from the stage as possible, indicated that we were unlikely to win….